I’ve been off Zinfandel lately. I have no idea why as it remains one of my favorite grapes, I just haven’t been drinking it like I used to for some reason. Which is a shame, I’ve got tons of great Zins in the basement and we are in/rapidly approaching the season where I prefer to drink Whites and Roses! I chose the 2004 Esca Zinfandel to drink the other night. It clocked in at 14.5% alcohol by volume, had a screw cap closure, and I purchased it for $22.99 from WineQ. On the nose I found blackberry, spice, pepper, plum, and raspberry. I enjoyed the nose a lot. In the mouth I got flavors of blackberries, dark fruit, spice, pepper, and some raspberries. The wine is very much ready to drink, and would go nicely with some upcoming warm weather bbq! 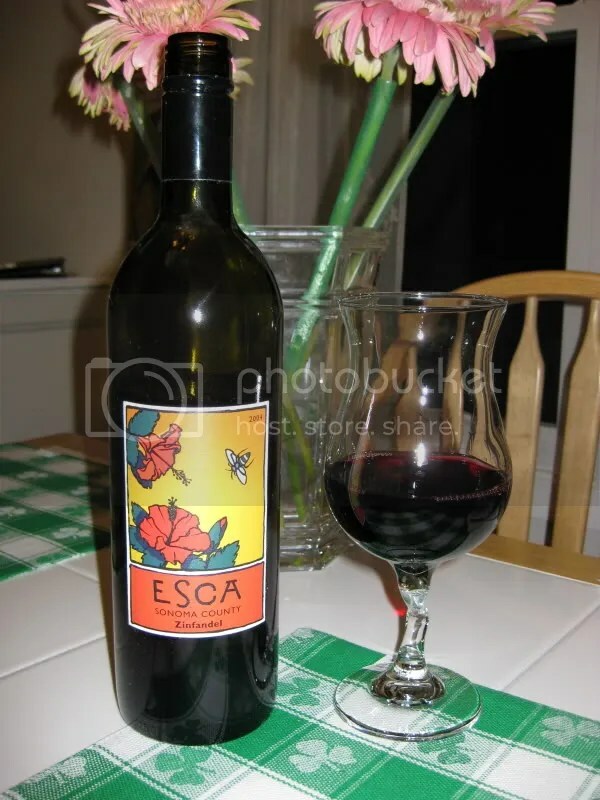 The wine for the night was a 2004 Esca Syrah that I purchased in one of my WineQ shipments. It cost me $22.99 (free shipping because I spent over $35 on my order! ), had a screw cap closure, and clocked in at 14.5% alcohol by volume. 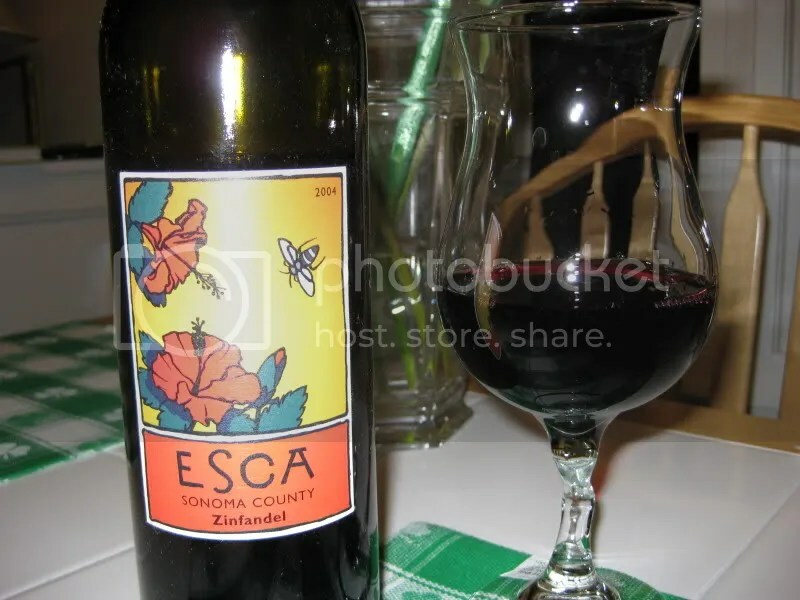 Esca is in Napa, and I’ve reviewed their Pinot Grigio previously. On the nose I found vanilla, chocolate, anise, plums, blackberries and spice. I should really sit around smelling my spice rack as I’m not so great at picking out exactly what spice I find in a wine. I can usually get cloves, cinnamon, and a few others, but the rest I just describe as “spice.” In the mouth the wine was full of plums, with fresh blackberries, very dark cherries, and anise rounding out the flavors. The wine is very smooth and fruity up front with a slightly spice and some tannins in the back of the palate, but it’s drinking beautifully now. So serve some up now, before your weather gets dreadfully hot and you run for the white wines! Another bottle from my first WineQ shipment of the season, this time a bottle of 2006 Esca Pinot Grigio. The wine hails from Sonoma, cost me $17.99 (free shipping! ), and had a real cork closure. Again (becoming habit around here!) Matt tossed the bottle before I could record the alcohol content. 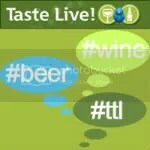 You can get this wine here, from WineQ. I really liked the label on this bottle with the cute little bee! I’ll put one of Matt’s “artistic” photos at the end for a hopefully better angle…. On the nose of the wine I found pear, flowers, sweet citrus, and honey. The wine was steel fermented and then aged in neutral oak barrels, but I didn’t notice any oak on the nose. In the mouth there was lemon, other citrus, peach, and pear. Overall the wine was crisp and light, though I think the oak added a nice body to the wine. A good value, I’d get this bottle again.